A native of Buffalo, John “Jack” McGuire is a senior All-College Honors student majoring in economics & finance in the Wehle School of Business. He is currently a student fund manager in the Golden Griffin Fund. 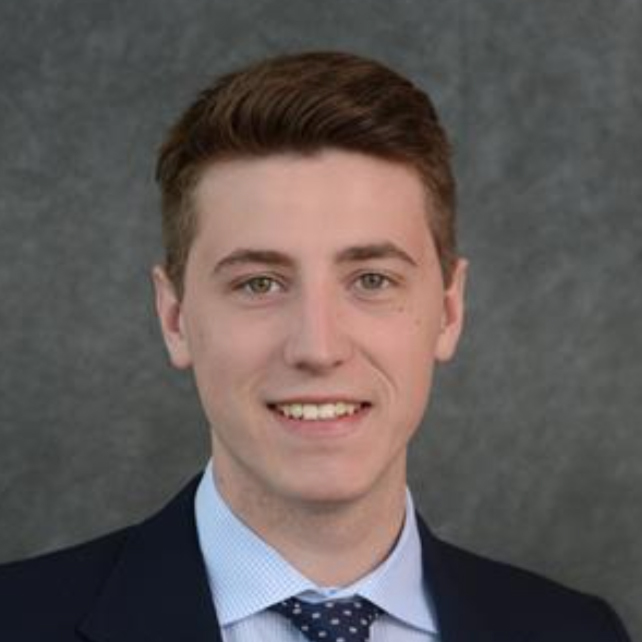 During his freshman and sophomore years at Canisius, Jack served as a senator in the Undergraduate Student Association as well as a member of the Finance Committee. As a junior he served as the president of the Economics & Finance Club. He has also served as an orientation leader for the honors program for incoming freshmen. Outside of school, Jack had internships with NYS Assemblyman Robin Schimminger and U.S. Senator Chuck Schumer. He also serves as board member for HOSIKIDS, a non-for-profit based in Buffalo, which helps to provide school supplies to an underprivileged grade school in Ghana, Africa. After graduation, Jack hopes to attend graduate school and to pursue a career in finance. He plans to one day create an organization in Buffalo that is dedicated to addressing the deep-rooted inequalities found in the Buffalo public school system, hoping to provide the resources so that all students will have equal opportunity to pursue a college degree.